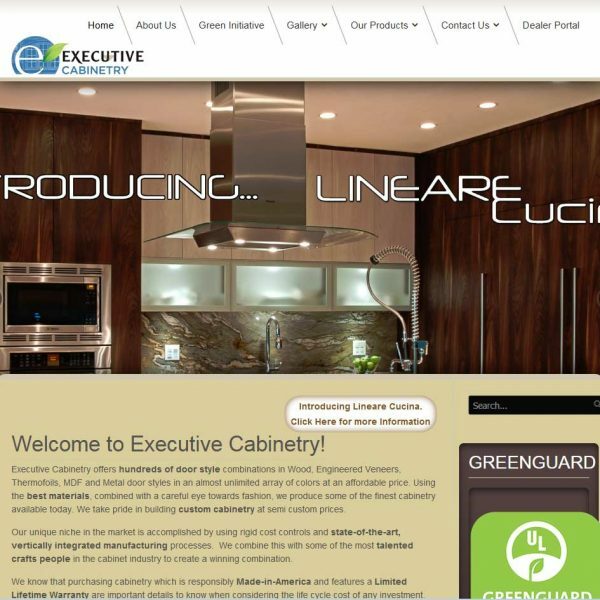 Executive Cabinetry is an industry leader in semi-custom and custom cabinetry. Recognizing that Health and Safety never go out of style, we manufacture the only all wood cabinet that is GREENGUARD Gold Certified. Our facility encompasses 226,000 square feet of vertically integrated manufacturing space. Simply stated, being vertically integrated means that components are constructed, on-site, from the raw materials through to the finished product. We take pride in the fact that all of our products are American made and handcrafted locally. 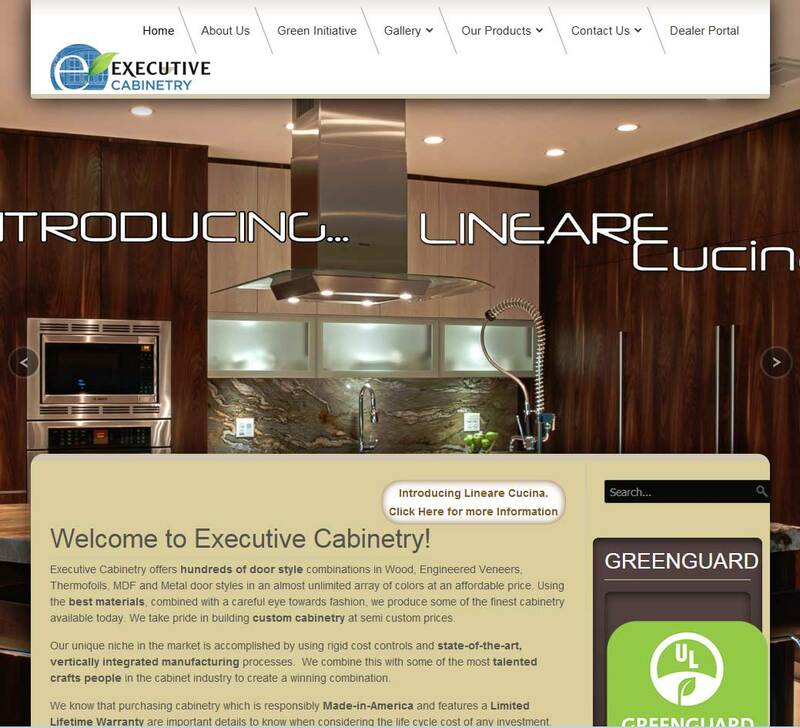 Executive Cabinetry are a well-known kitchen cabinet manufacturer based out of Simpsonville, South Carolina. 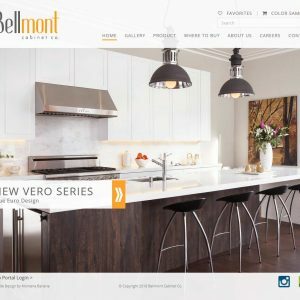 Part of the Essential Cabinetry Group, Executive Cabinetry sell a vast range of kitchen furniture based on high quality US-made kitchen cabinetry. 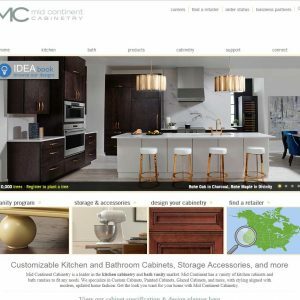 Solid construction cabinets with over 100 designs of door fronts matched with interior finishes Executive Cabinetry offer a kitchen for all tastes and budgets, backed up with a lifetime warranty. Do yourself a big favor and stay away from Executive Cabinetry. I found them to be an unorganized, inefficient, and poorly run company. All those qualities ended up costing us money, and worst of all time. Their ineptness added over 3 months to our kitchen renovation project. 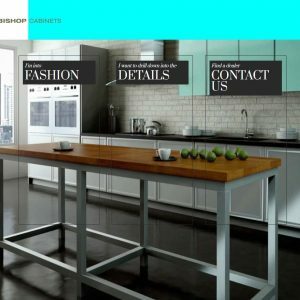 Their products looked great in the showroom, but they could not reproduce that same quality on our kitchen order. Over 50% of the initial order was bad & had to be reordered. Then it took them 3 and 4 orders and several months to get some cabinets right. On many they just wore us out & we had to pick & install the “best” of what they had sent us. If we waited for them to get it right, we may still be waiting. We just couldn’t go any longer without a kitchen. I hate to think they were just trying to wear us down, but it sure seemed like that was their strategy. Please do your family right and stay away from this company. I built a home and my builder did not allow me to use any other cabinets but Executive Cabinetry so this is how I ended up with these in my home. The biggest rip-off around. They look good on the outside but are worthless. Every pull-out drawer hits the doors on its way out and back into the cabinet. The corner cabinets do not come with an automatic lazy susan so good luck trying to get your food out of these cabinets. I was charged $642 for one lazy susan in my lower corner cabinets. I asked for them in all corners and got only one after I had to take legal measures. The company does not provide a warranty for the fan/light rangehood that I paid almost $2,000 for. I have called and emailed the company directly numerous times since I could not get the builder to provide me with the appropriate warranties and not one person at Executive Cabinetry has responded or come through with anything including someone who claimed she is a supervisor. So what does this tell you about this company, its employees, and it’s retail affiliates in the community? Run as fast as you can if you hear the brand you are being offered is Executive Cabinetry. They cannot be counted on for assistance when there is a problem. 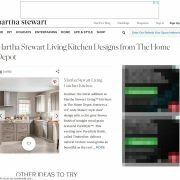 Important: all reviews for Executive Cabinetry should comply with our review policies here.